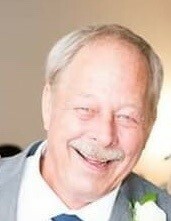 John Preston, Jr., age 65, died suddenly on August 20, 2018 in Tennessee. A self employed contractor in Central Ohio since 1968 and one who loved the Buckeyes, Blue Jackets, golf, boating, animals and people. He will always be remembered as a family man who loved his wife, three sons and daughter-in-laws; grandchildren as well as extended family members. Generous with his time and treasure helping all those who crossed his path, people looked forward to their time with John because they knew he looked forward to his time with them. His Faith in God was strong even though he kept it to himself. He was the hands and feet of Christ by helping all of those in need. Survived by his wife Christine “Chris” Mayer Preston; sons, John J. Preston, III and wife Lisa (Francisco), Scott and wife Katie (Selby) Preston, Nick and wife Emily (Steva) Preston; grandchildren, Travis, Anna, Luke, Leah and Jack Preston; parents, Rose and John J. Preston; sister, Robin Preston Major and husband Anthony. Brother, David Preston; many other relatives and friends. Friends may call 3-8 p.m. Monday August 27th at St. Elizabeth Church 6077 Sharon Woods Blvd. where his Memorial Mass will be held 10:30 a.m. Tuesday August 28th. In lieu of flowers contributions can be in his name to the St. Francis DeSales Scholarship Fund, 4212 Karl Rd. Columbus, OH 43224.